Thursday 26th September 2013 was a very special day for United Through Sport Ghana as the first ever Scholarship Awards Ceremony was held in Teshie, Accra and the very first intake of talented young football and tennis players received their Scholarships to the School of Excellence. For the last 6 months the Ghana Team have travelled the length and breadth of the country in search of the country’s most talented young Tennis and Football players. Over 1000 boys were originally selected and this has now been whittled down to just 26 lucky boys who were awarded a scholarship for the United Through Sport School of Excellence. The scholarship will provide these boys with a good quality basic education and training in their chosen sport of either Tennis or Football. For those boys who do not live in close proximity to the United Through Sport Ghana office in Teshie, they will also receive food, accommodation and support during term times. The ceremony was attended by the boys receiving their scholarships, their parents and family members, volunteers, coaches, staff and other boys who are still going through the selection process and hope to receive a scholarship of their own in the future. The ceremony began with a warm welcome and speech from James Dzandza, Director of United Through Sport Ghana, and an opportunity for parents to ask questions about their sons futures with United Through Sport. The presentation of scholarship certificates to the lucky final 26 boys followed, each certificate was presented by a representative of United Through Sport Ghana and the boys were accompanied by their parents for individual photos as they were presented. After all of the formalities it was time to celebrate the boys achievement and this huge milestone for United Through Sport Ghana… big smiles were seen all around, not only from the boys but from their parents, family, volunteers and of course the United Through Sport team. Impromptu entertainment was laid on by an older brother of one of the boys receiving their scholarship who showed off his impressive football skills to parents. The afternoon was a huge success on all accounts and we wish the lucky scholarship recipients the very best of luck in their studies and training with United Through Sport. We are pleased to report on the increasing number of scholarships we are facilitating for children in the townships to go to “former model c schools” where they get to inter-act with different races and receive top level education. 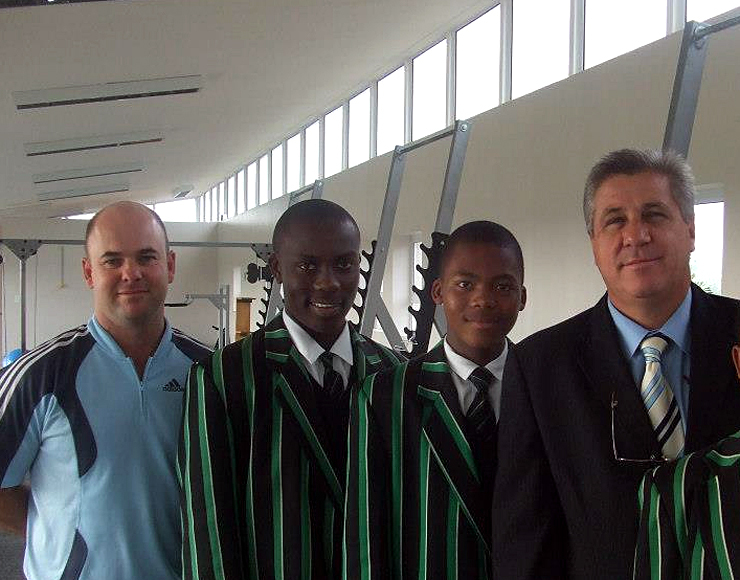 Pearson High School in Port Elizabeth was the first school we built this relationship with; in the year 2010, where we facilitated a rugby scholarship for three boys starting Grade 8. The three boys now only have one more year of school, and they’re all looking forward to life after school. Since we started this relationship, we have been sending an increasing number of boys and girls to Pearson year after year. This year, we sent a total of 9 children to start Grade 8; giving a total of fifteen children currently on a sport scholarship at this school. Some of the older boys take pride in playing for the school’s rugby first team. The second school we built a relationship with was Jeppe High School for Boys in Johannesburg, through the Theo Jackson Scholarship Fund. This Fund pays special attention to orphaned children who are highly motivated and have a drive to succeed in life. 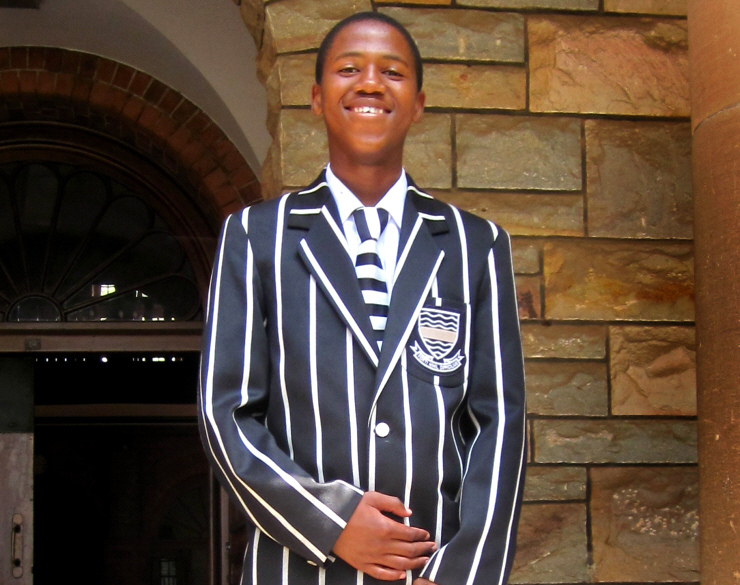 We currently have one boy at Jeppe, who has evolved into such a young gentleman over the three years he has been there. 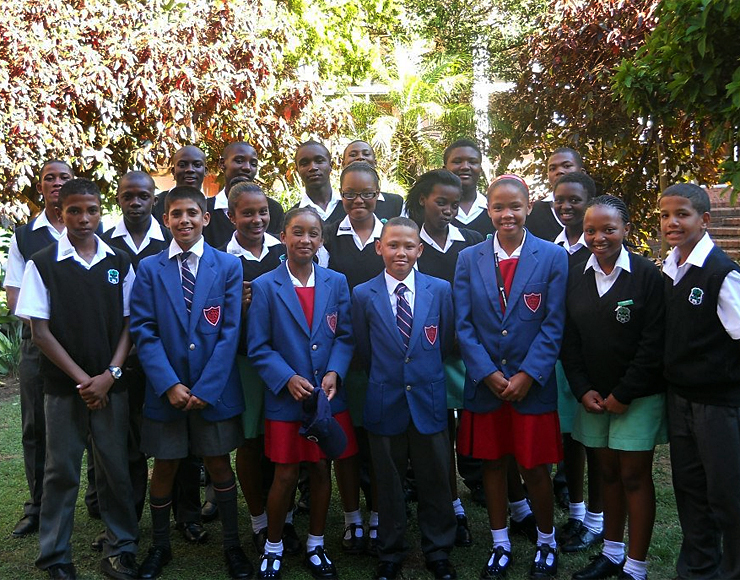 The latest relationship is with St George’s Preparatory, in Port Elizabeth. The main difference between this school and the other two is that St George’s is a primary school; therefore accepts younger children for a year or two before they move on to high school. Children selected for this scholarship are at an advantage as they get moulded at an earlier age to adjust from a township school to a multi-racial one, which makes their chances of receiving a scholarship for high school even higher. We sent our first group of children to St George’s this year, two boys and two girls who are all high achievers in sport. Despite all the talent there is in the townships, it is extremely difficult for parents to afford schools which can open up opportunities for their children. It is therefore our greatest pleasure to provide the platform for such opportunities. The difference in the quality of education in the township schools and the multi-racial ones is remarkably vast. This therefore means the children need to work extra hard to catch-up, giving extra hours in their days where we provide tutors to assist them with their academics. It was a lovely reward and incentive for the children when we took all of them to a Super 15 Rugby game at the Nelson Mandela Bay stadium between our local team, the Southern Kings and the Sharks, a team from Kwa-Zulu Natal. The children also got to socialise with their international tutors on a more casual environment, outside the classroom. The roles were reversed as the kids were teaching the tutors a thing or two about rugby. “Being at St George’s is hard; we have a lot of work even after school. It’s nice because the teachers help us with our homework. I want to go to Pearson next year because they are good in a lot of sport and I will fit in well.”- Numaan de Maar, UTS Beneficiary, 12 yrs old. 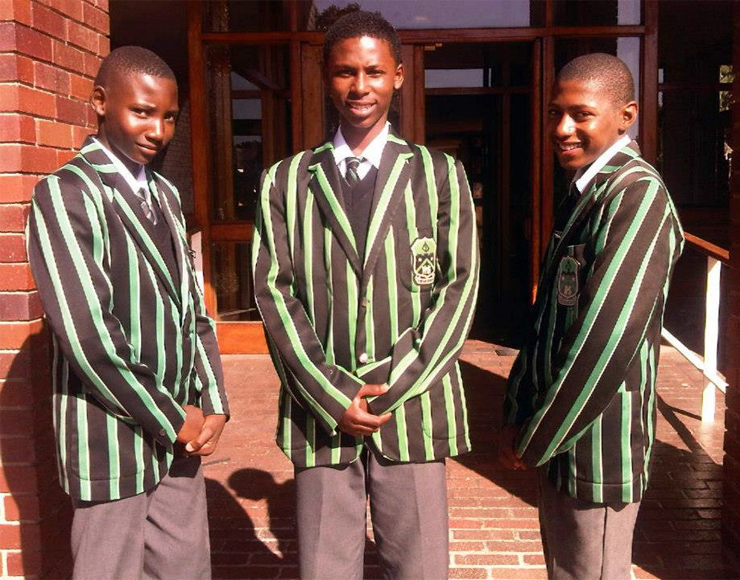 “We, as a family were over the moon when we learnt that my son would attend a school as prestigious as St George’s Prep. As a parent, you always have big dreams for your children, but being unemployed limits those dreams. With school fees, transport and school uniform arranged for us, we are only left with providing support for him.” – Leonie de Maar, UTS Beneficiary Parent. Visit and like our page on Facebook for more photos and updates on our work. United Through Sport South Africa has recently formed a unique relationship with Jeppe High School for Boys, which has the history of being the oldest public school in Johannesburg as well as one of the top 20 boys’ schools in the country. It has produced some inspirational individuals such as Jake White (World Cup winning South African Rugby Coach). 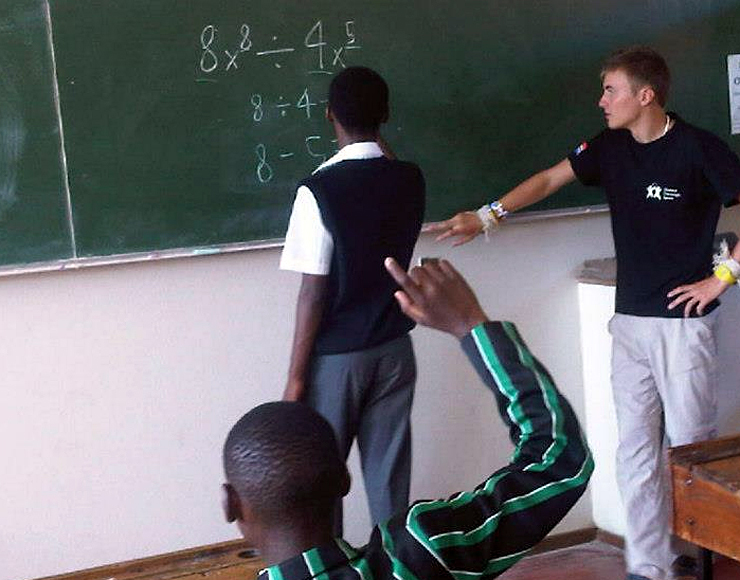 Jeppe has a number of Scholarship Funds, with the Theo Jackson scholarship fund being the link between the school and United Through Sport South Africa. Through the United Through Sport SA Mass Participation Programme run in the township primary schools and supported by A Chance To Play (ACTP), United Through Sport SA identified 3 young boys to go for the selection process for the scholarship. After a series of tests and interviews, Zolisa Faba, from Isaac Booi Primary School, was the lucky candidate who was given the scholarship. Zolisa is a 13 year old boy who is soon to be an orphan, as his father passed away and his mother is terminally ill. Up to now, he has been brought up by his grandmother who is extremely excited that her grandchild now has the prospect of such a bright future ahead. With only a year into rugby, Zolisa made the finals for the EP U/13 Craven week, which is a good achievement considering his home situation and level of experience on the rugby field! This is a reflection of why Zolisa was selected, due to his strength of character, his will to succeed and his all round determination, despite his home background, which is what the Theo Jackson Scholarship fund values above academic and sporting excellence. Amongst other firsts, flying up to Johannesburg for his interview was a highlight for Zolisa, who had never been on a plane before. 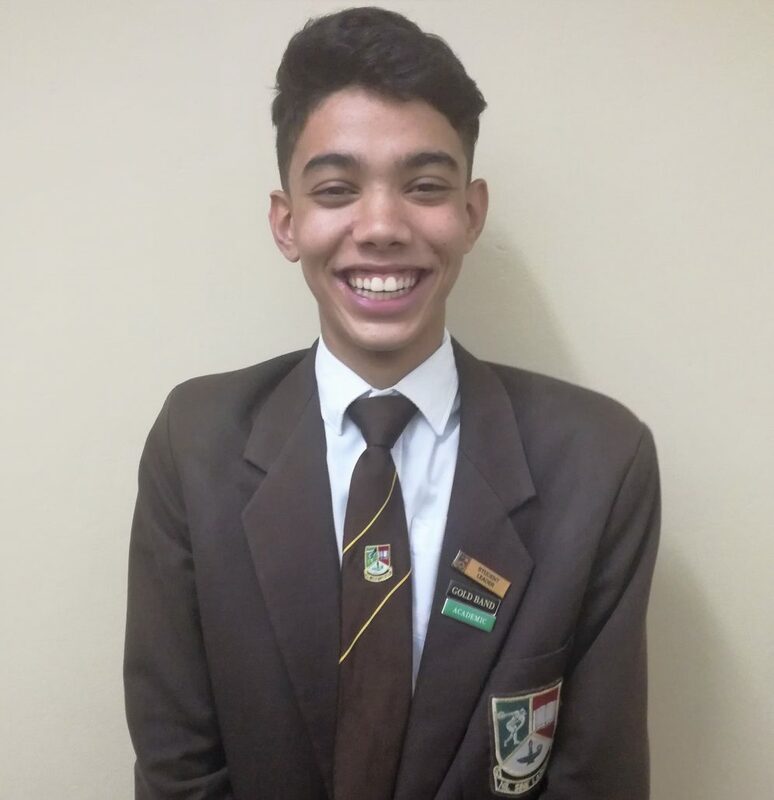 There were so many aspects that Zolisa struggled to comprehend after his first visit to Jeppe, amongst them the fact that he would be receiving five meals a day (two cooked) as part of the boarding program. Previously Zolisa has had to survive on only one basic meal each day, he excitedly said “This is unbelievable, it shows me that dreams really do come true”. It is intended that Zolisa will stay in the program for five years, receiving top education, sports coaching and individual support until he graduates at age 18. From here he will be in a fine position to move on to further success in life. Jeppe has a 98% matric pass rate compared to the school Zolisa would have otherwise attended with a pass rate of just 23%. 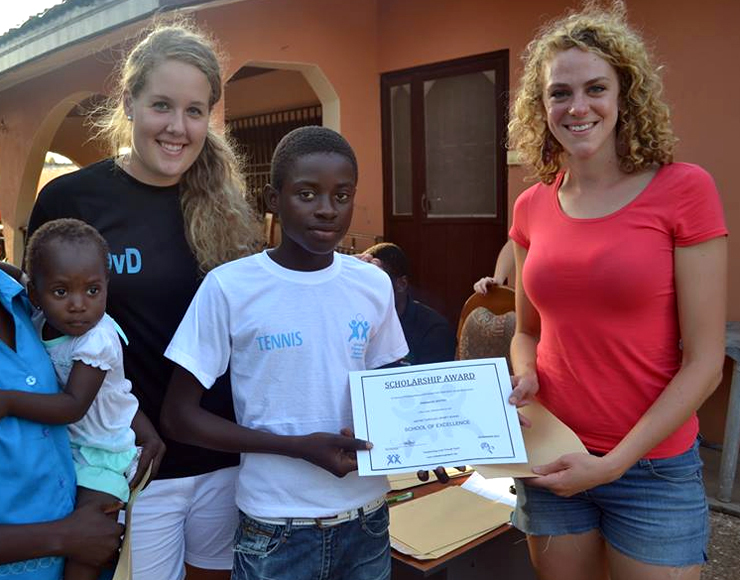 The scholarship covers all the academic requirements; Zolisa’s school fees, his boarding and food, books and uniform. In addition to this, Zolisa will be receiving individual support regarding him going home to Port Elizabeth every term, extra clothing, toiletries, excursions and pocket money from the fund. 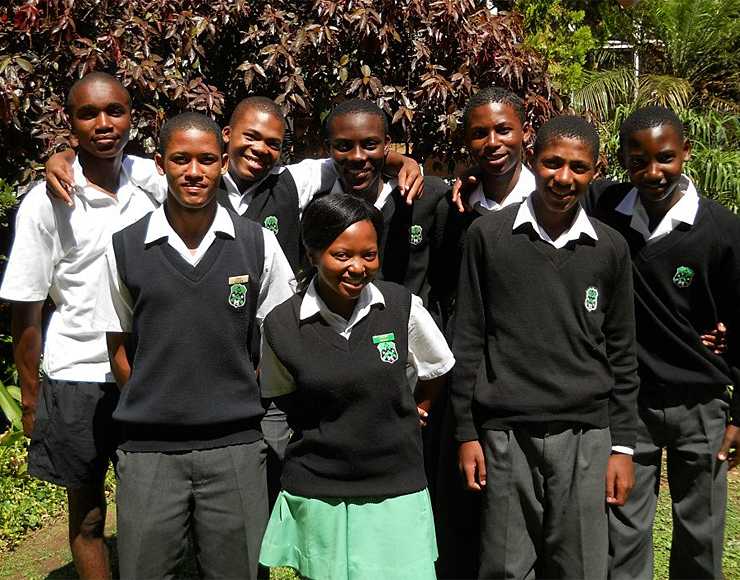 This scholarship was established by two brothers, Dale and Craig Jackson, in memory of their late father (who himself was an orphan given the opportunity to go to Jeppe) and it provides opportunities for orphaned boys, boys being raised by single parents or extended family to receive the education and grooming from this school to support them to grow into fine young men. Jeppe High School for Boys is renowned for its history and its boys giving back to society, so we know Zolisa is in good hands and trust he will make us proud. “It is great for us to be partnering with schools nationally as it means United Through Sport SA is not only recognised in the immediate townships we work in and it creates the chance for our kids to be given greater opportunities”, Nosipho ‘Spakes’ Xapile, United Through Sport SA Project Manager. Zolisa would not have received this opportunity if he had not taken part and been identified by the ACTP supported United Through Sport SA Mass Participation Program.